SMART LOOKING, GREAT SPEC, GOOD BRAND! 250GB HDD for storing files, photos, music, etc. This is a great system for home,business and/or student use. 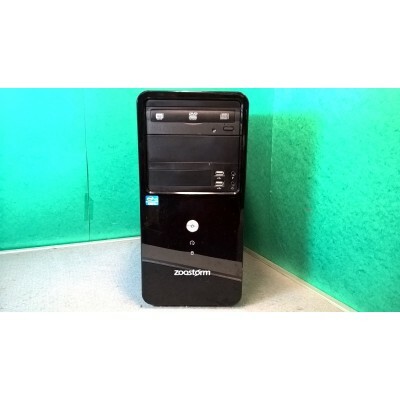 Item is sold pre-loaded with genuine Windows 10 Home from original Windows 7 Home Premium (with Windows 7 COA on system). If you would prefer Windows 7 we can reinstall that for you at no extra charge - it just may take 24hours longer to get to you. All PCs that come to us have the hard disc fully erased, then a fresh install of the operating system applied. We then do all the Windows updates and pre-install all the drivers, so the PC is ready to use out of the box! We also install a few programs we think may be useful, including an office package that is compatible with Microsoft office formats, anti-virus and anti-malware software. As all our systems are refurbished, they may have minor scuffs/scratches to the cases. These are purely cosmetic and in no way affect the performance of the PCs. If we feel that they are extremely noticeable we will attempt to show this in extra photos. We supply this previously used system with a 90 day RTB warranty. The warranty covers the hardware only, we do not warrant software. All PCs have been fully tested before being sent out. If a problem does arise within the first 90 days, please contact us first by email or by phone, as most problems can be resolved this way. If we are unable to fix the problem over the phone then the item can be returned to us for repair at your expense and we will return it to you at ours. We will post the item using a 48hr* fully tracked and insured service. You are welcome to upgrade that to a 24hr* service for just £1.99.